When the warm summer evenings begin to lengthen, many homeowners in Washington DC’s historic neighborhoods enjoy the comfort and privacy of a backyard patio. These exterior rooms significantly expand a home’s living and entertaining space into the outdoors. Adding outdoor living space to an urban neighborhood home with a well-designed patio can give years of satisfaction to homeowners. Whether entertaining friends or enjoying quiet times in the backyard privacy afforded, the patio is a worthwhile investment. Think about curling up with a good book or enjoying your coffee and paper in the fresh air of morning or intimate late evening dinners with friends and family. Whether you are rebuilding an existing patio or are adding a new patio, you want it to be a durable, well-designed and attractive foundation for your outdoor living space. Because of its timeless elegance, In DC, brick is a popular choice for outdoor patios in the oldest and historic neighborhoods. It is also a durable and cost efficient design option. In DC, bricks are available in various styles and colors and can be laid in many different patterns. And when a patio needs repairs, brick restoration is a relatively simple process. In most cases the existing brick can be re-used. For clients who want a different look, mosaic slate as well as brick and stone combinations are durable options that will maintain their integrity for many years with minimal maintenance. How will you use your outdoor patio space? Rather than simply a place to spend time outdoors, a patio tends to become an outdoor center for living. 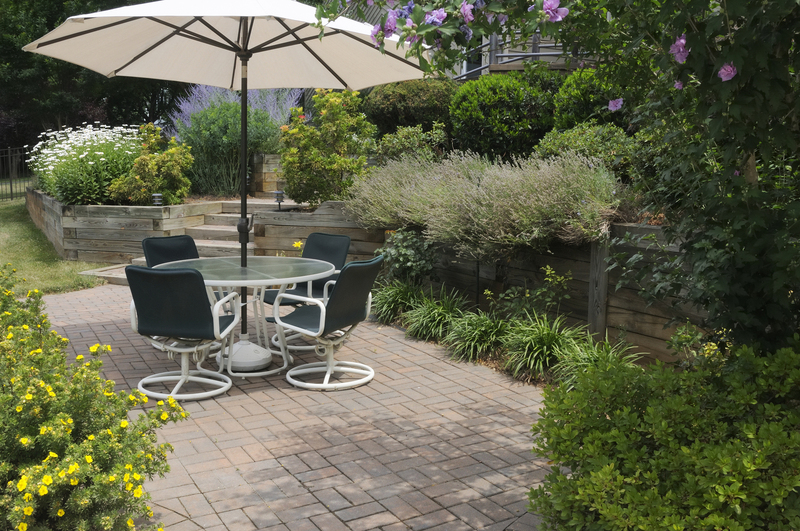 Gardening, cooking, entertaining, and relaxing are some of the activities that will determine the style of your patio. Multi-level designs that incorporate steps; retaining walls for privacy; cut outs for natural garden areas, and patio covers and pergolas for shade are all options to consider. With the right design and materials, even unattractive spaces can be transformed into appealing outdoor rooms. It is important to think about how your patio will be used before you consult with a contractor. When you visit friends and family pay attention to their patios - see what works, what doesn't work and what you like. As you interview masonry contractors in DC, ask to see examples of the patios they have completed. Most will give you suggestions for what is possible for your space and budget. The time you spend in careful consideration and planning will ensure that your patio gives you the outdoor living space you have always wanted. Renaissance Development, a firm of masonry contractors in DC, builds and restores patios using traditional materials – brick, stone, or concrete – that complement the 18th, 19th, and early 20th century residences in the District’s oldest neighborhoods. Contact us for a free site visit and project quote.